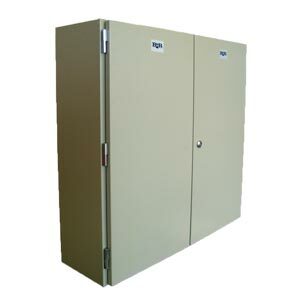 A general purpose enclosure for industrial environments. It was designed to house equipment such as electronic controls and instrumentation, junction terminations, PLCs, motor control systems, hydraulic, pneumatic and machine tool controls. The Universal NI, is available in 2 material options, stainless steel and zinc coated steel. 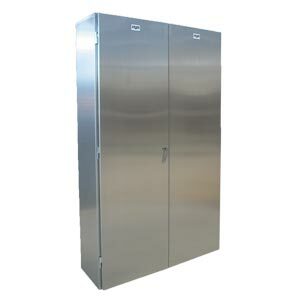 The Universal DD is a stainless steel IP55, double door enclosure from B&R. It has no centre mullion making installation and access to equipment easy and convenient.